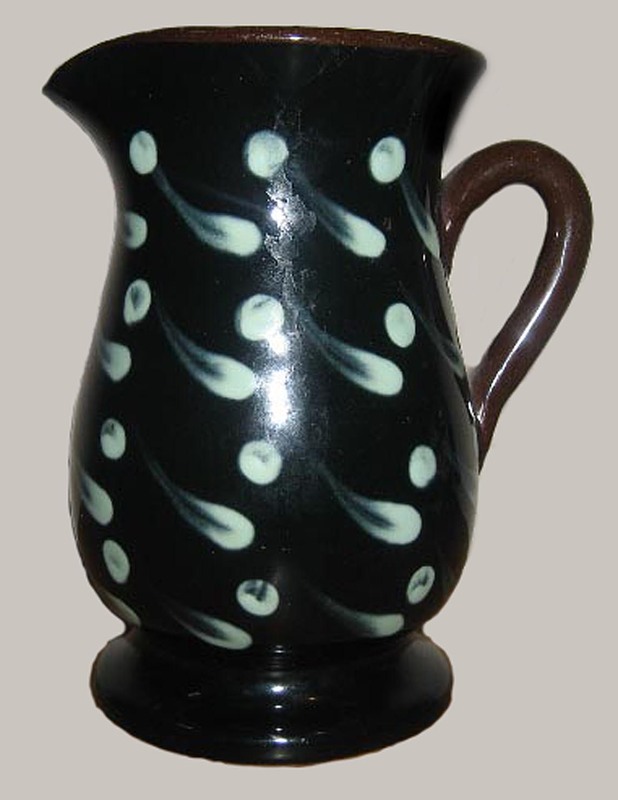 Carter Studio Pottery Torquay or Wellswood Studio Pottery 1955 – 1961. 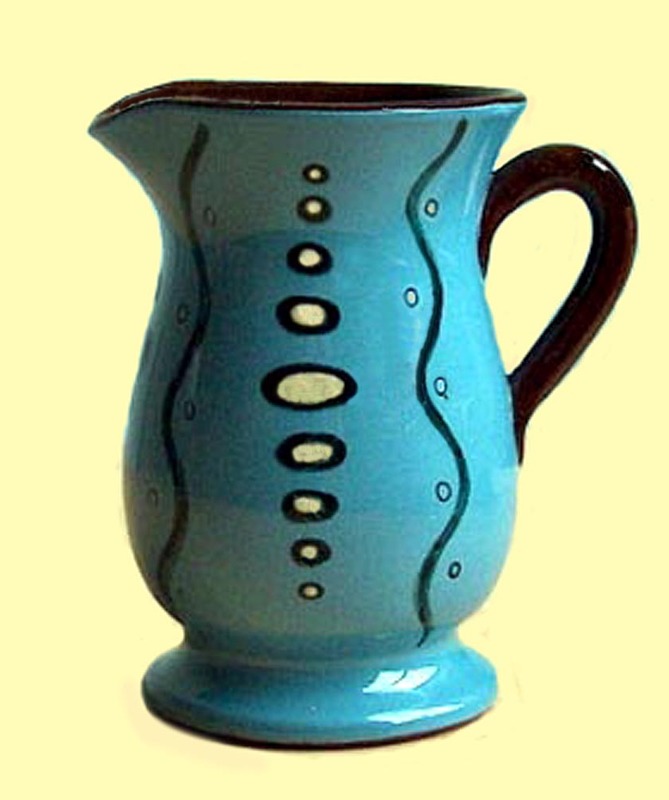 This little known pottery was registered as the Wellswood Studio Pottery owned by Norman F. Carter. 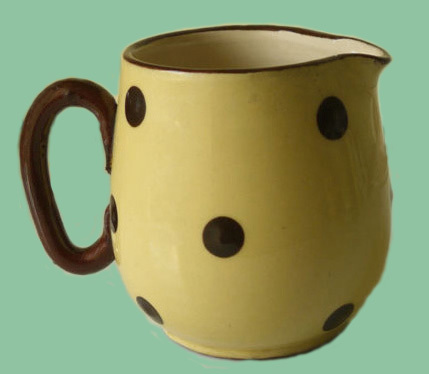 The pottery was located at the rear of 9 Ilsham Road, near the Kent’s Cavern Public House, in the grounds of which Norman Carter had a pottery showcase. The pottery consisted of a small outhouse, but having two floors plus some storage. They employed two workers Reg Stuckey as a thrower and Irene Rubio a decorator. They also employed several outworkers. 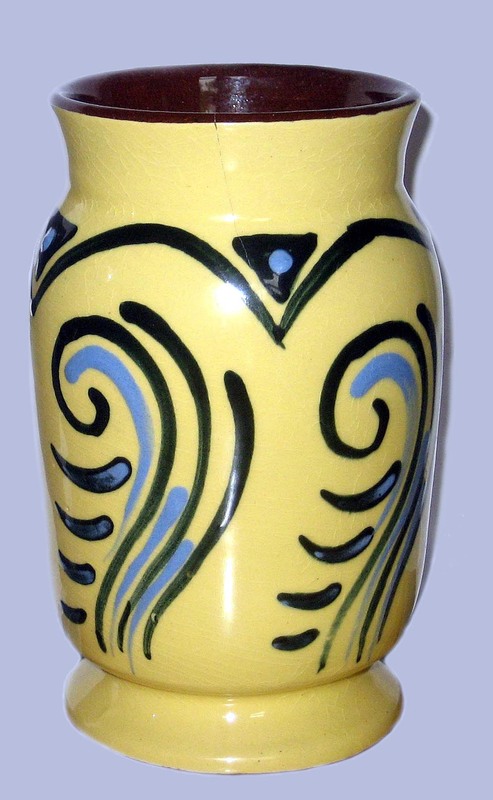 The pottery manufactured items for the tourist trade throughout Devon and Cornwall and supplied direct to the shops with an agent being employed to visit seaside retail outlets. 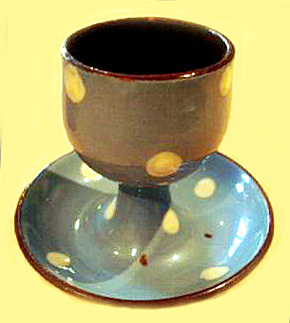 The main items made were vases, egg-cups, animals (donkeys for Clovelly Estate), ashtrays and Polka Dot ware. 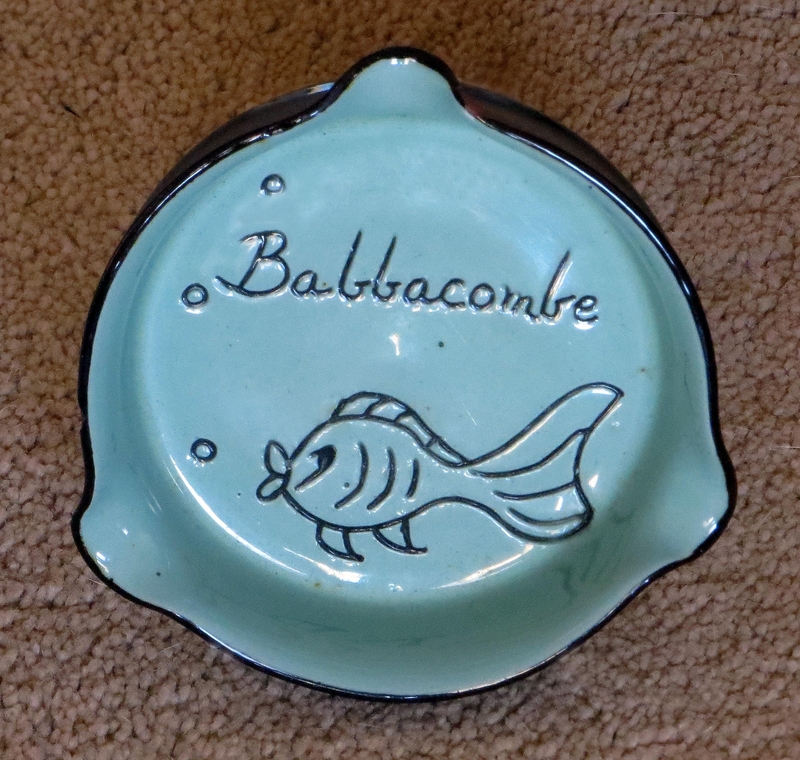 This pottery would have only had a small production, so is seldom found, this may partly be to the fact that the black ink rubber back stamp reading as ‘Carter Studio Pottery Torquay’ is often quite illegible. With thanks for research by Graeme Vanstone.